From the Geoff Plumb Collection of original slides. 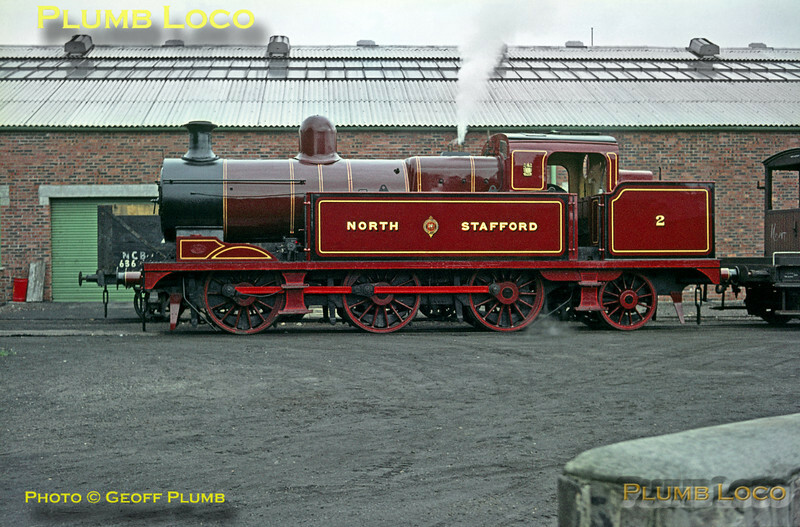 NSR 0-6-2T No. 2, "New L" class, sits at Walkden Yard on the Walkden Colliery system on Monday 3rd August 1964, during a visit and tour by the Birmingham Locomotive Club (Industrial Railway Society). The loco had been purchased by Manchester Collieries from the LMS in around 1930, along with several others, and had been loaned to the City of Stoke-on-Trent for its Golden Anniversary celebrations. The loco was sent to Crewe and restored in NSR livery and eventually returned to Walkden where it remained in use until the late 1960s. It was then preserved at the NRM, it is presently at Shildon. Photo courtesy John Edgington. Collect Slide No. 1050.